What is the Eden Cinemas Loyalty Card? 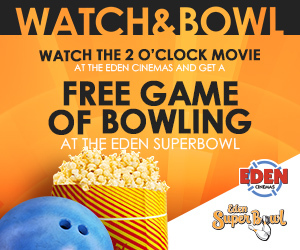 o The Eden Cinemas Loyalty Card rewards movie lovers who attend movies at Eden Cinemas. Loyalty members will earn points when purchasing admission tickets (at the box office or online) as well as kiosks. You can redeem gained points for rewards such as admission tickets and/or food and drinks. o Yes it is free to register. 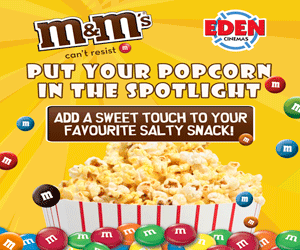 If I already have an Eden account, do I need to register for the Eden Cinemas Loyalty Card? o No. All you need to do is UPDATE your existing details online and pick up your Loyalty Card from the Ticket Booth. How do I register if I do not have an Eden account? o Register by following this link so you can create an Eden account and then you can collect your loyalty card from the Ticket booth. What does registering a card mean? o Registering a card means your contact information and a valid email address are associated with your Card. Once you register you will be eligible to gain points with every purchase. You will also have access to exclusive offers which will be communicated to you via email. Can I still register if I do not have an email address? o If you don’t have an email address you can easily set up one online. Unfortunately we require an email address to be linked to your loyalty card in order to gain and redeem points. When do I start gaining points? o You will start gaining points after the Loyalty card has been picked up from the Cinema Ticket Booth and linked to your Eden Account. Will I get a physical Card? o Yes you will get a physical card and such card has to be collected from the cinema ticket booth. o Your card number can be found on the physical loyalty card itself under the barcode. How do I earn points with my card? o When presenting or inputting an Eden Cinemas Loyalty Card for a qualifying purchase you will earn 100 points for EVERY Eur1.00 spent. Points can ONLY be gained upon inputting or presenting your Loyalty Card. Points cannot be manually added after a transaction has been concluded so ensure that Loyalty card number is made available during an open transaction. On what can I redeem my points? o You can redeem your points for any of the items listed below. Will I need the physical card and why? o Yes you will since in order for you to gain points it is imperative that your loyalty card is either scanned by a member of our staff at the ticket booth or kiosks BEFORE starting your transaction or else the card number has to be inputted online when doing an online purchase. Can I get a duplicate Eden Cinemas Loyalty card? o No. To protect your account and personal information, we do not offer Card duplication services. We encourage each individual within the same household, 13 years of age or older, to sign up for a Card and start earning points. How does Eden Cinemas protect my privacy after I register? Will I receive communications from Eden as a member of the loyalty Card Scheme? Will my Eden loyalty card ever be deactivated, suspended or terminated? o To maintain our databases, Eden routinely purges non-active member files. If you do not have a Qualifying Purchase for over 24 consecutive months, we may purge all of your data from our system without notice to you and deactivate your Loyalty Card so that it is unusable. If your account has been purged, simply register a new account and a new Loyalty Card. o Eden may terminate or suspend your Membership at any time, for any reason, without liability to you. In such case, your Membership will be terminated or suspended 60 days after notice to you. o Upon your death, your Membership will terminate immediately. (ii) Eden reserves the right, in its sole discretion, to rescind points and rewards and/or terminate your Membership immediately and without notice if, in the sole judgment of Eden, you (a) violate the Loyalty Scheme T&Cs, (b) engage in any fraud or abuse relating to eligibility for Membership, accrual of points, or redemption of points or reward vouchers, (c) misrepresent any information supplied by you to Eden, or (d) engage in any activities that are inconsistent with Eden’s public image, goodwill, or reputation or applicable law. (iii) Eden may also terminate your Membership immediately and without notice in the event you do not have a Qualifying Purchase for a period of 12 consecutive months. o No. As long as you have an active account by at least one qualifying purchase within 12 months. Can I give my loyalty points to someone else? o No. Points are not transferable. o No. Points cannot be exchanged for cash. § On the Eden Cinemas website when you log in on your account. § On every fiscal receipt. § At the Ticket booth and every other Point of sale within the Eden Cinemas. 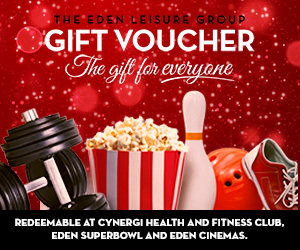 Do I earn points when buying the Eden Leisure Gift Voucher? Do I earn points when redeeming (using) an Eden Leisure Gift voucher? o No. Points are gained when purchasing a gift voucher not when redeeming it. Do I earn points for redeeming (using) a complimentary ticket? o No. Since a complimentary ticket carries no value then it will not carry any points. I’ve lost my Eden Loyalty card? What should I do? o A lost card needs to be reported at the ticket booth and a new card will be issues against a charge of Eur5.00. Should the lost card be found, the second card fee cannot be refunded. I think someone might be logging in to my account and using my points. What do I do? 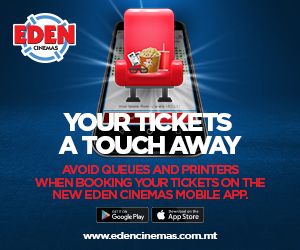 o Please login to www.edencinemas.com.mt and click the “Change Password” button, and then follow the prompts to change your password. Please change your password regularly to ensure security of your account and follow these guidelines when choosing a password: (i) use at least eight characters, (ii) use special characters (e.g., #; $; &; *; @), and (iii) use a combination of upper case and lower case letters. o You are responsible for ensuring the security of your Card, log-in credentials and account information. If you do not want another person to use your Card or account, do not share your Card, log-in credentials or account information with that person. o Eden has no obligation to reimburse any points that are spent pursuant to any unauthorized use of your Card, log-in credentials or other account information. What if I notice that points I’ve earned haven’t been added to my points balance? What do I do? o If it appears that points were not added for a purchase you must request to speak to a manager at once if purchase was done within the cinema. For purchases done online you are requested to send an email to cinema@edenleisure.com within 48 hours. Please note that management cannot be held responsible if you forget to present your loyalty card or input it online. What if points are incorrectly calculated for a purchase I’ve made? What do I do? o If it appears that points were incorrectly calculated for a purchase you must request to speak to a manager at once if purchase was done within the cinema. For purchases done online you are requested to send an email to cinema@edenleisure.com within 48 hours. What if someone spends my points without my permission?